This poem popped up in one of my social media accounts, courtesy of The Reading Room, and I couldn’t resist blogging it. This poem captures the essence of reading exactly. 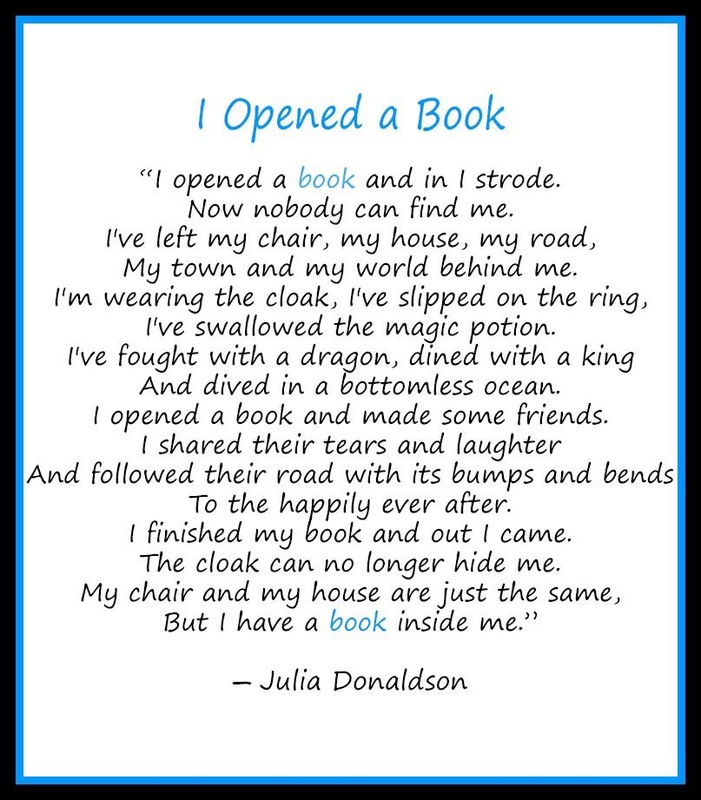 Over my lifetime, it is because of reading I was able experience many different things on many different levels. As the poem mentions, I’ve laughed and cried with many characters. I’ve experienced their happily-ever-afters and sometimes their not-so-happily ever afters. Reading is an experience. Every. Time.